Oleg Sentsov is very pale, moves little and hardly gets out of bed, the Ukrainian Ombudsman Lyudmila Denisova informed after talking with the lawyer of the Kremlin prisoner Dmitry Dinze. Doctors examining the Ukrainian filmmaker say that Sentsov’s receptors are failing. “I talked with the lawyer of Oleg Sentsov. Dmitry visited Oleg today. He says that Oleg is very pale, moves little, and hardly gets out of bed. Doctors say that his receptors are already failing. The second crisis can happen at any time," she said. Denisova appealed to the head of the Federal Penitentiary Service of Russia Gennady Kornienko with a request to urgently grant access to visit Oleg Sentsov. At the same time, she reports that Russian ombudsman Tatiana Moskalkova insists on visiting Kirill Vyshinsky, the arrested director of RIA Novosti Ukraina, before visiting the Ukrainian director. 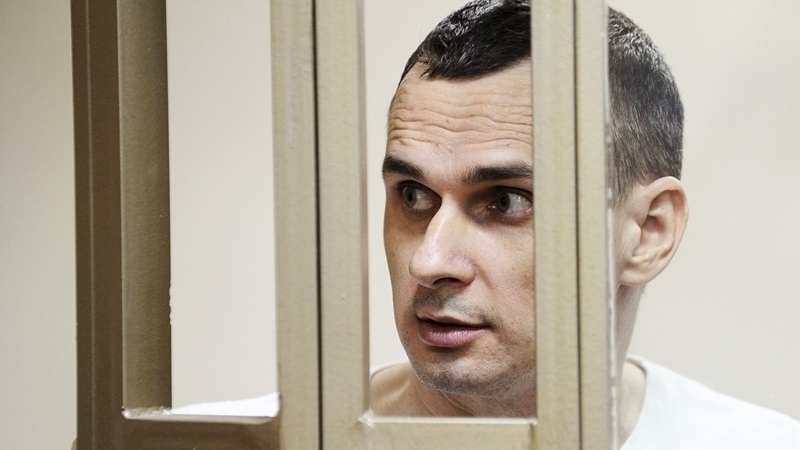 Earlier, Denisova reported that Sentsov was suffering from pain in the kidneys and in the heart. Denisova noted that Oleg Sentsov is in the medical unit of the prison. Previously, on the 26th day of the hunger strike, Oleg had an attack of pain and was taken to a hospital outside the colony. Doctors wanted to resort to forced feeding, but Oleg resisted. Meanwhile, Denisova's Russian counterpart Tatiana Moskalkova called the hunger strike of Sentsov "a curative fasting." According to the Russian Ombudsman, the Ukrainian filmmaker is under her special control and is visited by a local Ombudsman for human rights. The Verkhovna Rada of Ukraine Commissioner for Human Rights Lyudmila Denisova said that Oleg Sentsov can be forcibly fed. The Ukrainian Ombudsman appealed to the Deputy Minister of Justice of Ukraine, Ivan Oreshnikov, with a request to make a statement on the violation of the rights of the Ukrainian filmmaker to the European Court of Human Rights. Secretary General of the Council of Europe Thorbjorn Jagland said after the meeting with Moskalkova that he was ready to file a petition for pardon of Ukrainian director Oleg Sentsov illegally convicted in Russia.